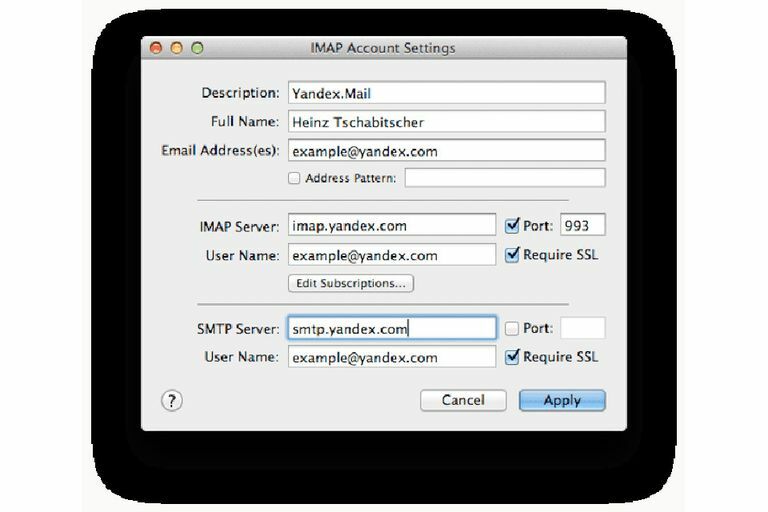 What Are the Yandex.Mail SMTP Settings? The Yandex.Mail SMTP server settings are required in order to send mail from a Yandex.Mail account through an email client. While you can use your account online through the Yandex website, you have to use the settings below if you're connecting your email to an offline program. This is so that the email program will know how to access your account and send messages. Don't forget to also use the Yandex.Mail POP3 settings so that you can retrieve/download your email.